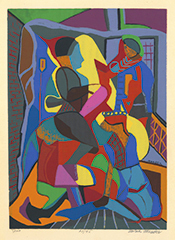 Trio (also Arrangement) ---1945, Serigraph. Edition 45. Signed, titled and numbered 21/45 in pencil. Image size 15 x 10 7/8 inches (381 x 276 mm); sheet size 19 x 12 7/8 inches (483 x 327 mm). 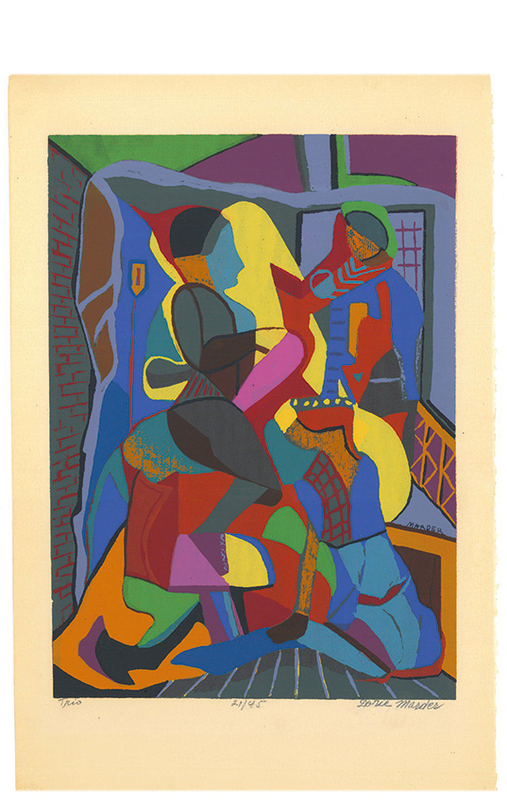 A fine impression, with fresh, vibrant colors, on heavy cream wove paper; full margins, in excellent condition. Born in Poland, Dorie Marder was an American painter and printmaker. She studied at the Sorbonne in Paris and in New York at the New School of Social Research with Morris Kantor.